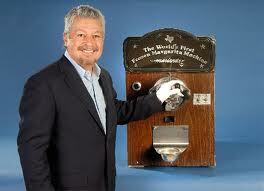 Did you know the margarita machine is a national treasure? He may not have created the first margarita, but Mariano Martinez transformed the drink from a border cantina concoction to the nation’s most popular alcoholic beverage with his invention in Dallas of the frozen margarita machine. Forty years later, Martinez’s invention has increased the U.S. demand for tequila and contributed to the widespread popularity of Tex-Mex cuisine. It was 1971, and he was a 26-year-old Dallas restaurateur whose dream of operating his own Mexican restaurant was melting before his eyes. Martinez couldn’t master the icy consistency of frozen margaritas, much to the dismay of his customers. With his business on the rocks and facing a coup from his bartenders, who complained the slushy concoctions were too time-consuming and complicated to make, Martinez was desperately searching for a remedy. An inspired Martinez retrofitted an old soft-serve machine and, using his father’s margarita recipe, streamlined the production of what has become America’s most ordered alcoholic beverage. Happy hour would never be the same. 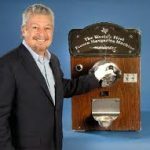 The National Museum of American History, having recognized the invention’s cultural significance to Mexican-American food and drink, acquired the machine in 2005.